A marionette inspired by an israely classic kids song, the strings are hidden within the marionette pole, and oprated by bike brakes. 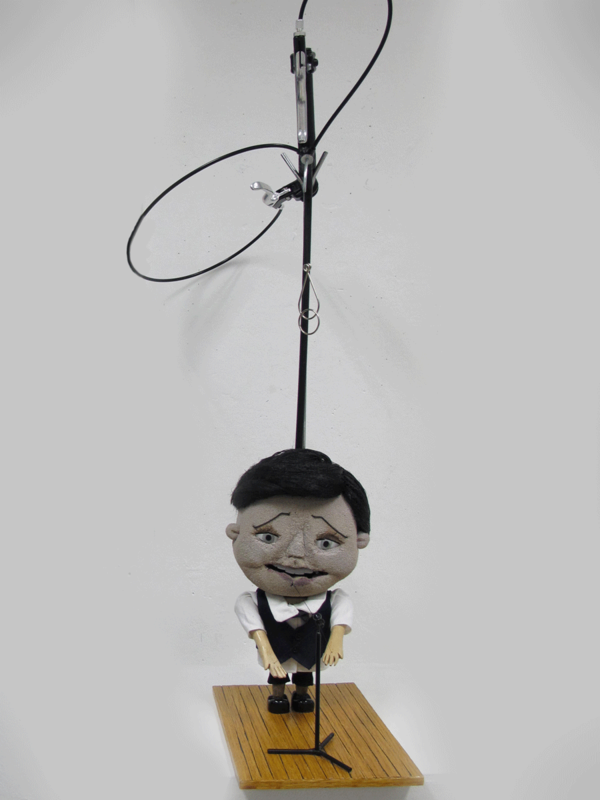 the marionette changes moods (like the song) from happy to sad. 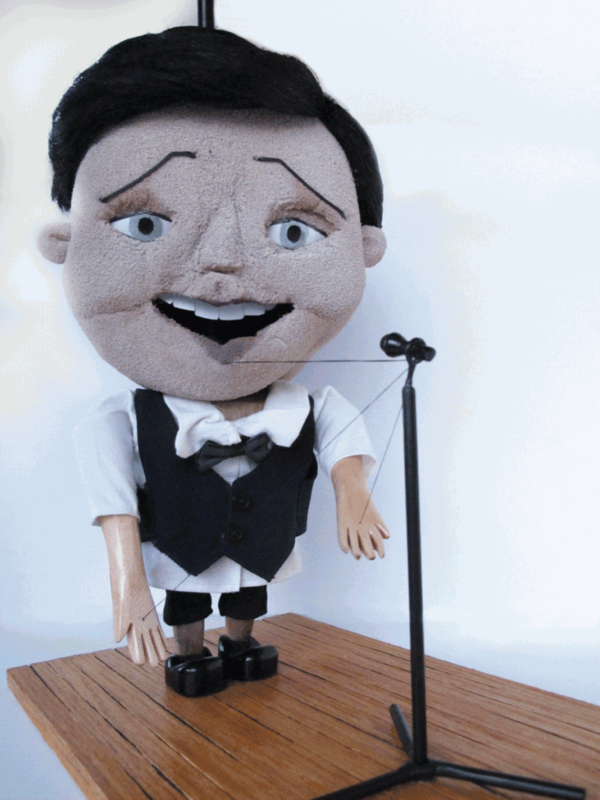 Please watch the movie bellow, Noam as all marionette is a great performer, and works much better on video.